It's time to say Goodbye to January 2017 and it's about time, since this was not a month to remember for it's nice weather, in total contrast! We need to go back to November 2010 and March 2011 when we even had worse weather and flood conditions. However, back in those days the current drainage system wasn't in place, and after the initial flash flood, it took up to two weeks for the water to drain. Now we had flash floods during January but within hours the roads are clear again, as soon as the rain stops. We had however a couple of days of almost non stop rain and some serious flooding, more and worse than we had in December 2016, just a month ago! The amount of visitors and page views was the highest ever on my blog, it stood at 146.211 in May 2011 but I'm currently, with just a few more hours to go at 153.788 page views for this month. On my Samui weather and info Facebook page it was also very busy and traffic increased plentiful. Wet streets in January and a sight to get used, traffic jams for the Bophud traffic lights, all the way backing up to Zazen Boutique Resort and one time I was in the traffic start at DAN Auto in Maenam and it took thirty minutes to reach the traffic lights. Everybody and his dog seems to have a car nowadays on the island, and the roads are just not build with that much traffic in mind. Ins't that called progress? The last couple of days of the month have been lovely, sunny and warm and we had two or three days in the middle of the month, when it was also nice and warm and sunny, but that didn't last too long! We were lucky though and in all the days that we had floods, we only had one day during which we had to endure a power cut for five hours. It was very pleasant that was the only power cut we had! Other parts of the island may have had more and longer power cuts. We still managed to go out and have some nice dinners, like at Barracuda Restaurant at the Wharf and at Prego, Italian restaurant that's part of the Amari in Chaweng. It's best to look forward to a new month, February 2017, usually a very nice and mild month with plenty of sunshine. Also the month hen my blog can celebrate 10 years of being live! With great pleasure I can announce the 5th Koh Samui Midnight Run, Saturday 25th March 2017, with start and finish line at the Reggae Pub in Chaweng and some 2000 participants are expected fir this Samui Midnight Run. It will start exactly at midnight in the night from Saturday to Sunday. Registration opens 1st March at Zazen Boutique resort and information for registration for the 5th Koh Samui Midnight Run, Saturday 25th March 2017 can be found in this link. The Grand Raffle will take place after the awards ceremony! The first price will be a brand new scooter! The race distances are 5km and 10km or one loop through Chaweng or two loops. Straight down beach road in Chaweng with a small detour through the crowded Soi Green Mango! As each year, it's a charity event and proceeds from the event will be donated to some very worthy causes: firstly, to Koh Samui’s new School for Autistic Children and secondly to the Green Project supported by the Hotel Associations. Out of the previous four editions, I participated three times and came in second every time in my age category, this year I'm about to change that and have my goal set at winning my age category! Hope to see you there and join the fun and activities. The countdown has started! 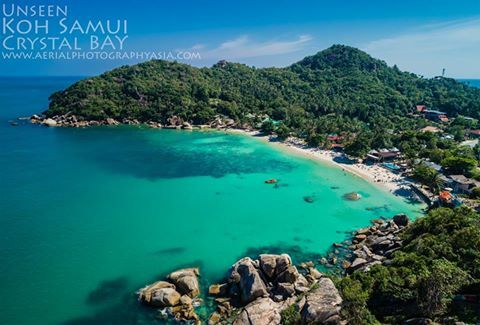 Koh Samui, Thailand daily weather update; 31st January, 2017; A beautiful aerial picture of Crystal Bay near Lamai. This is a very nice and small bay, at the very end of the hills leading to Lamai, when coming from Chaweng and it has a lovely beach. One of the better snorkel places on Koh Samui. There are a few resorts in the bay and it's a great place to visit for a day, sunbath, eat some food in one of the restaurants, swim a bit, snorkel a bit, enjoy the day! Yesterday saw a nice and warm day around Koh Samui, with a partially clouded sky and plenty of sunshine. Max temp reached 30C and at the end of the month, January seems to have made a turn and give us some nice weather, at last! Koh Samui, Thailand daily weather update; 31st January, 2017; The narrow one way street in Ban Saladan on Koh Lanta, leading to the pier where the ferries leave. The pier is in the opposite direction though! This is the view towards Ban Saladan. The forecast didn't change much and that means that for the next seven days, you better have plenty f sun lotion at hand, since most days will see beautiful blue skies, sometimes laced with a few isolated clouds. The good end of January and February weather has arrived, at last! Enjoy it! Yesterday saw a gorgeous day around Koh Samui, blue skies all day long, nice and warm, closing in on hot and a prefect recipe to forget all about the recent floods around the island. Max temp reached only 30C but it surely felt a lot warmer. It was a perfect beach day! The forecast is still looking good for the next seven days. No wind, partially cloudy to no clouds and plenty if sunshine. 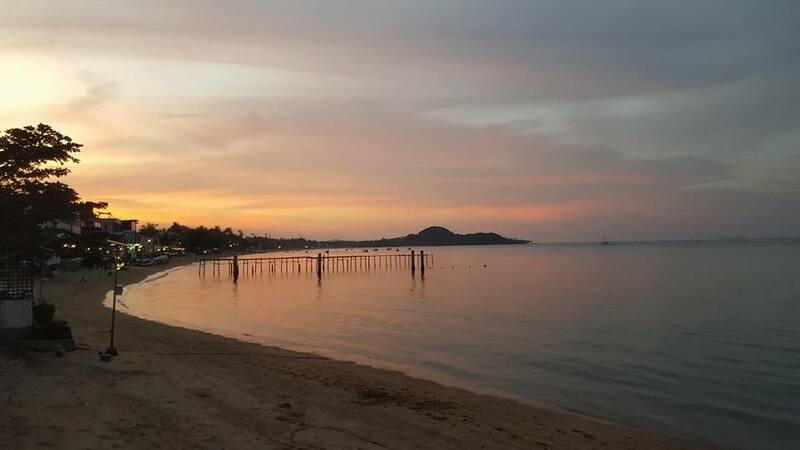 The beaches around Koh Samui are waiting for you to work on your tan but don't forget the sun lotion! The forecast for the next seven days is looking very good. Partially cloudy to completely blue skies and sun galore is hitting the island! Get the sun lotion out and work on that tan! Enjoy the lovely weather coming up over the next seven days! We also have a fairly cloudy sky on Koh Lanta but the sun will soon dissolve this and replace it with a blue sky. On Koh Lanta the current January-February PADI IDC is well under way now. Current temp at 7am is a nice and cool 24C but it will heat up later today. Coconut trees hanging in there at Chaweng beach, in front of Centara Grand Beach resort. The recent waves have hollowed out the sand on which the trees are standing and they may tip over any time. Hopefully they will be able though to keep hanging in until the and is restored in a few weeks or month time. Koh Samui, Thailand daily weather update; 28th January, 2017; Celebrating Chinese New Year in ban Saladan on Koh Lanta, yesterday afternoon with food and drinks being offered to welcome the year of the Rooster. The forecast for the next seven days is looking really good. No wind,m almost no clouds and plenty of sunshine coming our way. Enjoy! 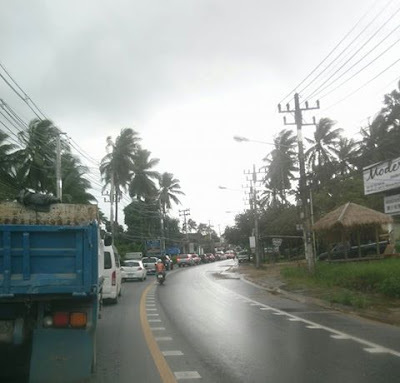 Yesterday saw a lot more and harder rain than was expected or forecast around Koh Samui and it caused a few minor flash floods around the island, at the usual hot spots, however without disrupting the traffic flow. The forecast for the next seven days is looking really good and nice. Plenty of open skies with sometimes a partially cloudy sky and lots of sunshine. It looks like the monsoon is over and done with for this season and we finally can get the sun lotion out again. Enjoy the warmth and the sun. Koh Samui, Thailand daily weather update; 26th January, 2017; The Seatran pier in Nathon, yesterday morning, rolling on to the Seatran ferry, heading for the mainland in Don Sak. Yesterday saw a partially clouded sky around Koh Samui and it was a nice and dry day with a max temp of 31C. Last night there was some rain though. Koh Samui, Thailand daily weather update; 26th January, 2017; View from the new bridge between the two Koh Lanta islands. This is a view towards Baan Saladan. Yesterday was the first time that I crossed the bridge, last year when I left it was just about a week or such before the bridge opened. Travel time is shortened by at lest half an hour or more, since there's no more waiting and queuing for the short ferry ride between the two islands. The forecast for the next seven days is looking good, today and tomorrow may still see a bit of rain but the clouds are dissolving and we should have some sunshine coming our way as well, possibly starting tomorrow already but definitely when the weekend starts. Enjoy next week and the end of this month and February looks like it will be in good old fashion with some lovely weather. The forecast for the next seven days is looking good. Tomorrow may see a light shower or so, Friday may see some drizzle and as of the weekend we should have no rain anymore but instead partially clouded skies with sunny moments. The forecast is looking good. Wednesday, Thursday throughout the day and Friday morning may see some rain but after that it should be partially clouded skies with the sun coming out again. It does seem that the long monsoon season is finally coming to an end. The forecast for the next seven days at last is showing some improvement. Cloudy until Friday with an occasional light shower being expected and after Friday the sun may break through in partially cloudy skies. The rain seems to make way, at last! It's partially cloudy and sunny over Koh Samui this morning, at least the North Eastern part of the island, with a late update, due to my Sunday morning long runs. It looks like it will stay like this for the rest of the day, so enjoy some good beach time today or any other activity you signed up for or are planning to do. It has become really difficult over the last couple of days to predict what is going to happen, it seems all predicted to be cloudy days turn into partially cloudy and sunny days and all partially cloudy days seem to turn into cloudy and rainy days. Odd! Don't forget to visit the Samui Green Market later today, as of 3pm at Fisherman's Village. Koh Samui, Thailand daily weather update; 22nd January, 2017; The beach inf front of Hansar Resort in Fisherman's Village, under a nice partially clouded sky and in the sunshine! The forecast for the next seven days predicts cloudy days with a light wind until Wednesday and rain possibly until Friday morning. This should be monsoon like rain, with a shower here and there but not non stop, all day long like rain. The forecast for the next seven days hasn't changed that much, mostly cloudy to partially cloudy skies with each day some rain being predicted, not all day long rain but occasionally a shower and it doesn't look like a lot of sunshine can be expected during the next seven days. Tomorrow may see some very strong wind durin the afternoon. I can only hope to be proven wrong. Today marks 100 days since the death of King Bhumibol. From today onward, TV stations are allowed to show normal programs and have logos in color. It's cloudy this morning over Koh Samui with a very rare break in the clouds this early on. According to the forecasts it should remain mostly cloudy and there is a good chance of a few showers today. The forecast for the next seven days predicts a mixture of light wind, cloudy to partially cloudy skies, an occasional sun beam and a high possibility of rain showers each day. Nothing like the recent January floods we had though! The forecast for the next seven days remained mostly unchanged. All days should have various amounts of rain during the day and night but also dry spells should be in the mix but not much sunshine is expected. The forecast for the next seven days is not looking that great, plenty of rain and wind expected today and tomorrow, especially around 10am this morning and this coming night and the rest of the week we should expect more rain, but not so hard and not so much anymore except for Friday, where we may see a break. Koh Samui, Thailand daily weather update; 16th January, 2017; At last the road in Soi 8 in Plai Laem has collapsed. It was a matter of time when it should happen. During the December rain and floods, the earth underneath part of the road was washed away and during the recent January floods, it got hollowed out even more. Yesterday, during a dry and partially clouded day, the road finally collapsed and I'm afraid it will take a very long time before this will be fixed. Luckily nobody got injured when the road did collapse. The forecast for the next seven days is not looking that great. The next two days should be the worst days to come during this period, with strong, at times storm like wind and plenty of rain. Not as torrential as early January but plenty enough. Friday may be the only dry-ish day and over the weekend some light rain is expected. It will be interesting to see how the drainage systems will be able to handle this rain, since everything is filled to the brim. Although most roads had dried up, this will be a game changer again. It's a bit hazy today and the sun is struggling to break through this morning around Koh Samui. The cloud cover may get more clouded during the remainder of the day. Current temp at 9.30am is 28C, still fairly cool and enjoyable. Koh Samui, Thailand daily weather update; 15th January, 2017; Airplanes are completely on schedule again and are flying in over Big Buddha all the time again and at Samui airport it's according to schedule again. Things are back to 'normal' again around the island, however, there's been a lot of damage to the infrastructure around the island, like road surface damage, big holes are in the tarmac surface at many places and it will take months to fix this. My fear is that the holes will just filled with some tar, which will be a very short term solution, since these fillers will not hold for very long. Looking back at the the history of the island, this is most likely exactly what will happen. Yesterday saw another very sunny and dry day and was exactly what was needed to forget a bit about the recent January floods. Due to the sunshine, many roads are actually completely dry again. Some other areas still have to deal with some water on the roads and there is also still a lot of water coming down from the hills. Max temp reached 32C yesterday. The forecast predicts a cloudier sky tomorrow with possibly a short shower or two during the day. Come Tuesday however, there's supposed to be a strong storm like wind during almost all day long with plenty of rain. Looking at the forecast, there most likely will be flash floods again, maybe a day to better stay inside! Wednesday may see less wind and rain and come Thursday the rain and wind should mostly have gone, to have slight return on Saturday. It's not looking too great but by no menas as bad as during the recent floods. The next Green Market will be on Sunday 22nd January at Fisherman's Village at Elysia Boutique Resort and will start around 15.00 or 3pm. As always this will be a great opportunity to buy lots of organic food, to eat on the spot or to take home but also fresh and organic produce will be on offer. What is nice to see is that the Samui Green Market is proactive about NOT USING PLASTIC. At this market we will introduce "Trash Hero" bottles for both business owner and islander to join to save our island. EVERYONE CAN BE A HERO! An excellent initiative and if you want to buy things, bring your own non plastic bags and the people selling are asked to get creative with bamboo, banana leaves or buy reusable, or paper! A great location to get locally made and produced organic products, food and otherwise. I will be on the island and will surely make it over for a visit. Most roads are drying up although some spots are still partially flooded or wet, however, with weather like this, it will speed up the process of drying up the roads. All dive and snorkeling boats are in full swing again. Time to book one your tours with me. The forecast didn't change a lot. Today and tomorrow should be fine with lots of sunshine and possibly a small and short shower tomorrow. From Monday onward, the wind is supposed to pick up for a day or three with currently light rain predicted on Monday and Tuesday, harder rain on Wednesday and Thursday and fading out again by Friday. This rain will however not be torrential but more like a typical monsoon rain, short or longer showers but not torrential. Floods should not occur, besides maybe a flash flood. Unfortunately not much sunshine is expected next week. 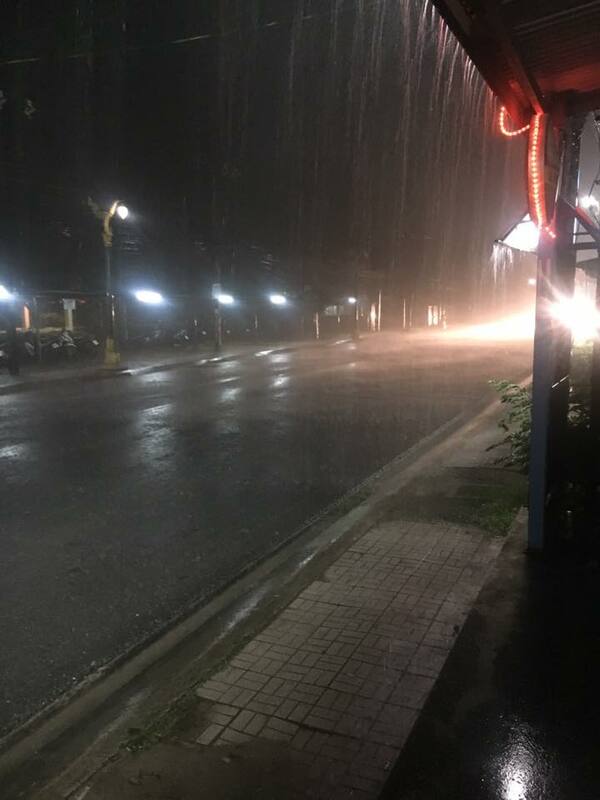 Koh Samui, Thailand daily weather update; 13th January, 2017; Water pumps have been located at various parts around the island, to help the still standing water to reach drainage systems. This one is located near Fisherman's Village, on the ring road. Yesterday was a bit of strange day, listening to various comments from around the island. Here in Plai Laem, we had a very sunny morning with some dark clouds surrounding us during the afternoon but ending with more sunshine. On the contrast, in Fisherman's Village and Maenam they had plenty of rain during the morning which caused plenty of flash floods in that part of the island. The forecast for the next seven days didn't change that much, until Sunday it should be nice and sunny, with maybe an isolated shower on Sunday. As of Monday however, the rain may be back, combined with strong wind on Monday, but the rain should not be as torrential and over the top as we just had during the recent January floods, but more long the lines of a normal monsoon rain. The interesting part will be how the drainage systems will be able to handle the rain, since they're filled to the brim, if it's not torrential, they should be able to handle the rain fairly well. It will be interesting. Stay tuned for more updates and check my Koh Samui info and weather Facebook page as well. A link is listed below. Koh Samui, Thailand daily weather update; 12th January, 2017; Blue skies yesterday at Fisherman's Village and all around the island. What a relief! 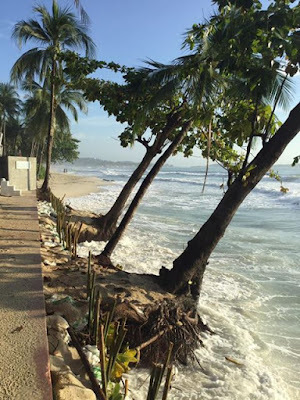 Koh Samui, Thailand daily weather update; 12th January, 2017; There are still plenty of signs and proof of the devastating power and impact the January floods had. This is the entrance to Bophud temple, closed off due to a massive puddle directly at the entrance. Many road parts have been damaged, road surface has partly gone and many holes can be found all the roads around the island, This will take ea few months to fix all this and hopefully not by just pouring some asphalt into the holes, since that will not be a very long lasting solution. The forecast for the next seven days is looking good until the weekend. Partially cloudy skies and no rain expected but instead some sunny skies for a change. Time to recover a bit from the recent floods. After the weekend some rain is expected and predicted, especially Tuesday may see some harder wind and some harder rain. In general this is however a more 'normal' monsoon kind of rain and not anything like we recently experienced. It will be interesting however to see how the drainage systems around the island will handle a new set of rain, considering that every drainage system is filled to the brim with rain water. Stay tuned and enjoy the sunshine for a few days. The Spark Circus is to visit Koh Samui 20th and 21st January at respectively W Resort and Dr Frogs, with a big show on the 20th at W Resort, starting at 8pm. 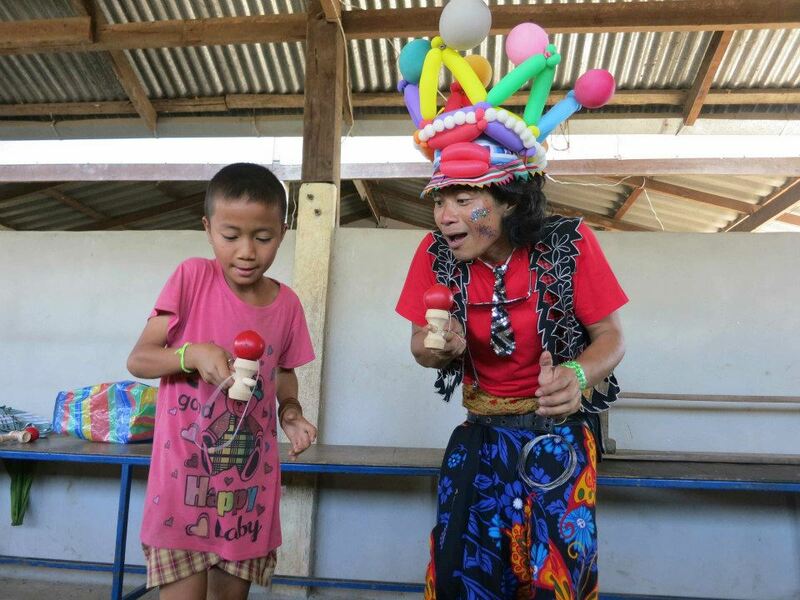 All four scheduled shows are to raise money for the Burmese refugee children in the North, in Mae Sot, where the Spark circus will go to teach and perform. Spark Circus is an international nonprofit whose mission it is to promote health, positive well being, and a sense of hope in children who live in disadvantaged communities and living situations. It is their belief that by using educational classes in, circus, music, and performance art they can help to alleviate stress, burden, and fear that so often traps people in a cycle of violence and poverty. 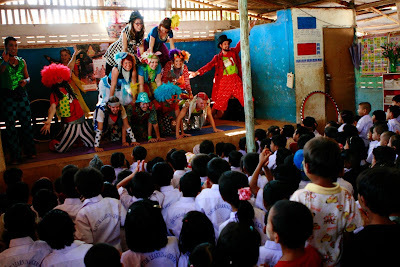 This year the circus has 10 dedicated performers and teachers from; Vietnam, Canada, Australia, Burma, UK & the US. Spark Circus is a non-profit dedicated to bringing hope and laughter to the lives of thousands of refugee children every year. 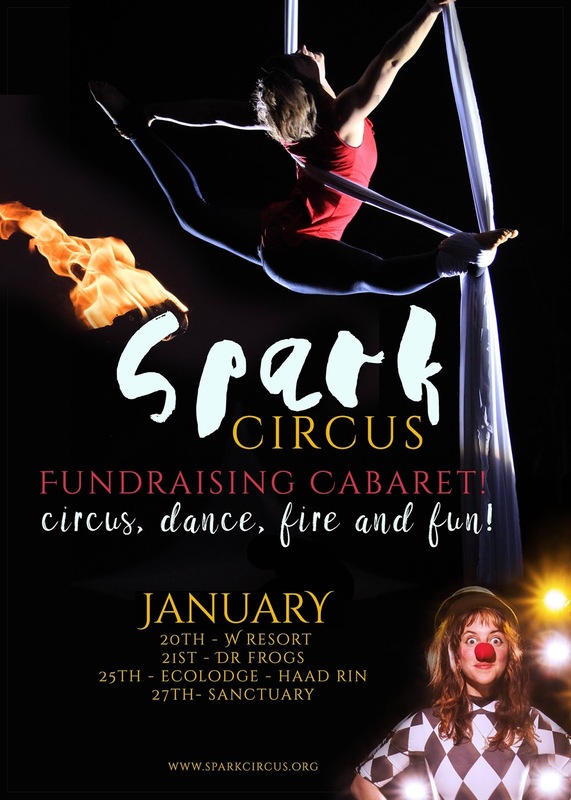 Beginning January 14th, the Spark Circus team will assemble on the islands of Koh Samui and Koh Phangan to do shows and raise donations for the project in a Sparkly Circus Bonanza. 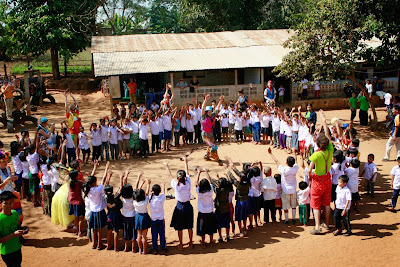 Following two weeks of fundraising, the team will travel and visit schools and orphanages in Mae Sot, the refugee camp Nu Poe, and the village of Mae Ke Kong for four weeks of playshop’s and intensives. These exercises and activities are designed to encourage creative self-discovery in disadvantaged children in war-torn countries. The process of healing these children begins with laughter, and Spark’s performers and volunteers take pride in being able to give refugee children much needed respite from their traumatic situation. “These children are escaping from a country which has been at war with itself for more than sixty years. Many are in danger of trafficking, while others face innumerable hardships,” says Charlene Whitehead (Director) . Spark Circus is a circus performance group who tries to deliver a spectacular extravaganza for children at migrant schools, refugee camps in Thailand, and villages on the Burmese side of the border, as well as, workshops and classes. They also offer classes to local teachers and other interested individuals, striving whenever possible to foster a spirit of community and oneness. It is their hope that they can bring people together and heal some of the emotional wounds the children face through the excitement of the circus arts. 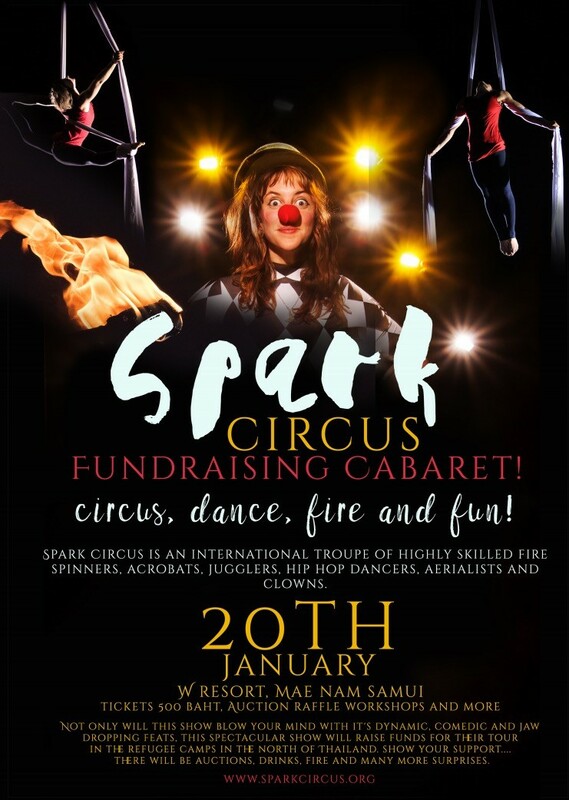 For more information on how you can help Spark Circus, visit their fundraising page here. The first sunshine is back over Koh Samui again!